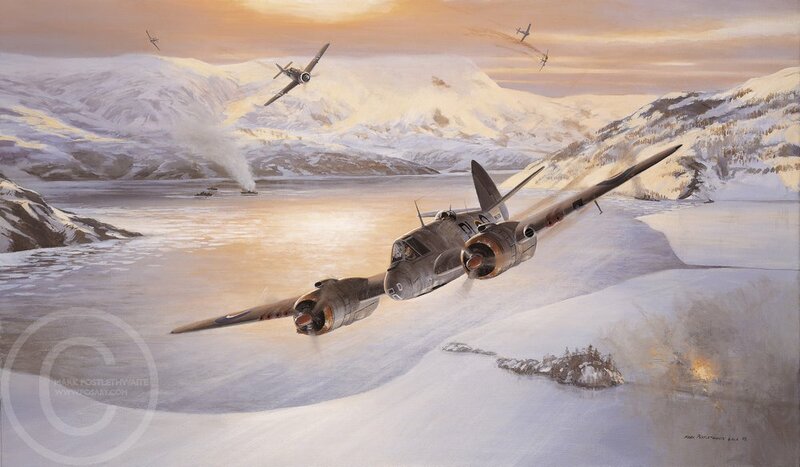 A 144 Sqn Beaufighter flown by F/Sgt Stan Butler and F/Sgt Bernard Nichol come under attack by a FW190 of 9/JG5 over Fordefjord, Norway on 9th February 1945. The disastrous combat became know as Black Friday with the loss of many Beaufighters to the Fw190s. A large print signed by the pilot and navigator of the Beaufighter, F/Sgt Stan Butler and F/Sgt Bernard Nichol.